Hi, I'm Tim. Thanks for reading my story. I am a father and grandfather who has made my home in Colorado for nearly 40 years. I am an avid Colorado sports fan and love the mountains. I own a home in Westminster, and I place enormous value on community. My interest in helping other homeowners has solidified in recent years as I have become very involved in my home owner's association, of which I am now serving as President. In my twenties, I owned a carpet installation business and I sold real estate for Better Homes and Gardens in the 1980s and 90s. 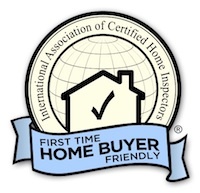 Together with my experience in construction over the years and remodeling, my interest in preserving community among my neighbors and wider community in Colorado turned into my passion for residential home inspection. This passion is now my business. Residential Home Inspection is my American dream. Join me in bringing honesty and integrity back into the home inspection process.